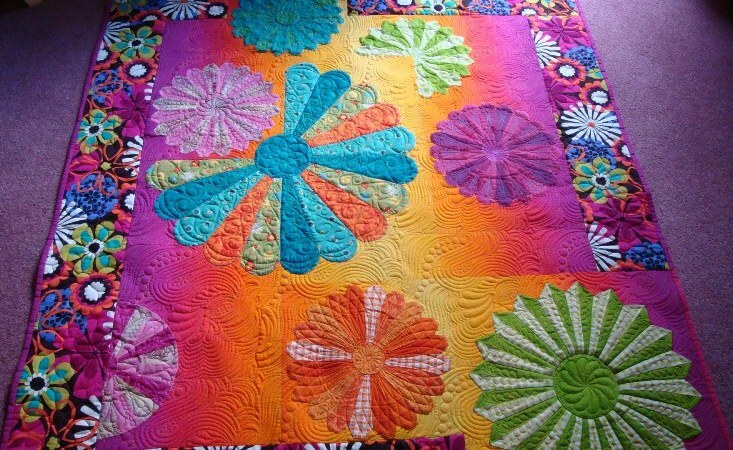 Batik fabrics have a very high thread count while regular quilting cotton is much lower, this creates an imbalance and could affect the stitch tension. I recommend having the cotton on the bottom as the backing fabric if using batiks on the pieced top. This will result in a nicer quilt. Also if using batiks, to pre-wash to soften the fabric so the tension is better on the final quilting. The stitches have a chance to embed into the quilt sandwich. Fabrics purchased at discount fabric stores often times have lots of sizing manufactured onto the fabric. This causes the fabric to be stiff, keeping the quilting stitches from embedding into the sandwich. My preference is to have you prewash those fabrics before you even start your cutting and quilting process. Fabrics purchased from quality stores and well known manufactures such as Hoffman, Moda and RJR etc. are quality fabrics that most likely will not have the heavy stiff sizing on them therefore no pre-washing is needed. If there is a strong color such as red, purples etc. I always pre-treat my personal fabric with Retayne (for commercially dyed cotton fabrics) to stop the bleed. Or, Synthrapol (for hand dyed fabrics) to remove excess dye and sizing. There is nothing more heart breaking than spending hours and months on piecing a quilt only to have the colors bleed on the first washing. These products dramatically reduce that problem and can be purchased at most quality fabric stores. When deciding on your backing fabric, think about the type of quilting you would like and the thread color that would work for the quilt top. 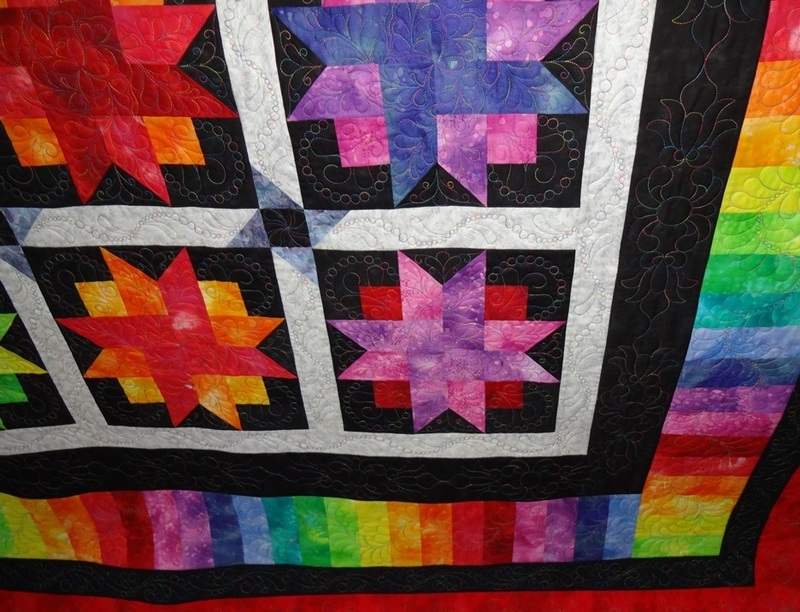 Custom quilting has a great deal of starts and stops which would show up if using a solid color backing fabric. A busy backing fabric will draw less attention to thread starts/stops and anchoring stitches which are part of machine quilting. The color of your backing fabric should be of a similar value to the thread you want to use. In machine quilting, the same color thread is used in top and bobbin or of a similar value so you’ll want to make sure the backing fabric supports this.